So, sad to learn that the Botswana-based Amarula Conservation Trust was presented with an African Leaders For Change Award on 21 November 2017, for a campaign to stop ivory trade which harms elephant conservation in Africa. As if this was not enough such anti-ivory trade campaign also harms Southern African rural communities that live side by side with elephants but only receive costs from elephant problems without benefits from ivory trade revenue. A ban on ivory trade as long proved scientifically by the International Conservation of Nature (IUCN) Elephant Specialist Group; has not (for the past 30 years) and will not stop poaching of elephants in the future but will ironically increase it. The laws of economics are clear on the impacts of a trade ban on any commodity, including wildlife products such as ivory. When you ban trade in a commodity you increase its demand. Therefore, the Western animals rights groups’ continued sponsored ban on ivory trade, including the Amarula Trust’s ongoing support for an ivory ban will; ironically increase poaching. We in the African conservation fraternity have observed with utter disgust that the animal rights groups’ little-known selfish motive to sponsor the international ivory trade ban is aimed at creating an African elephant poaching crisis that they in turn scandalously use to ask for funding from well-wishers (some of them very influential billionaires), whom we honestly think are ignorant of these animal rights groups’ evil and mercenary intentions. We have never seen animal rights groups publicly handing over elephant conservation funds to an African government or African rural community settled next to a national park; where our elephants stay and regularly enter these villages destroying crops and property. In some cases, the elephants kill their loved ones. Neither have we seen sustainable elephant conservation projects that they (animal rights groups) fund using the donations that run into billions that they ironically beg for; from well-wishers to ‘save’ the African elephants that they are knowingly driving to extinction through their continued sponsorship international ivory trade ban. Meanwhile, communities neighboring these parks (the designated natural habitats for elephants) unfortunately continue to pay for the costs of living side by side with the elephants but don’t get socioeconomic benefits from elephants. Without getting socioeconomic benefits from the elephants; rural communities that live side by side with elephants do not have any incentives to conserve the elephants. Therefore, they would rather collaborate with poachers as most of them are currently doing. Sadly, the poachers deliberately pay these poor communities small amounts of money which make them (helpless and poor rural communities) want to continue getting more. The more this happens the more elephants get killed. Sadly, this creates another good case for animal rights groups to scandalously ask for elephant ‘conservation’ funds from well-wishers. Interestingly, we have never seen such funds being used to conserve African elephants. The implication is that such funds are instead being used to line up animal rights groups’ own pockets and pay for their big salaries and expensive lifestyles. Look at them (animal rights groups representatives) carefully next time you meet them or watch them on television. They look like super models. If you fly with them on an aeroplane anywhere, you will see that most of them fly in first class. 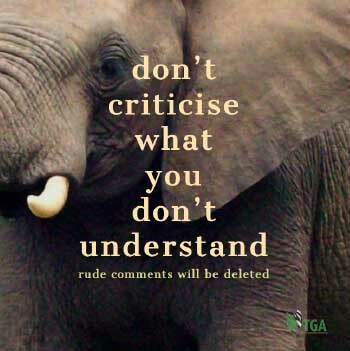 To our African men and women, including our friends from Western nations who support sustainable use of wildlife products, including international trade in ivory; let us all stand up and be counted in the fight against animal rights groups’ sponsored elephant poaching crisis – deliberately created by the animal rights groups themselves, through their continued sponsorship of the ban on international trade in ivory. For some of us in Africa who have and continued to work with poor African rural communities living side by side with elephants; the animal rights groups sponsored elephant poaching through ongoing ivory trade ban is now increasingly viewed as elephant terrorism. It is a crime not only against the African elephants, environment but also African governments and their poor rural communities living side by side with wildlife, including elephants. 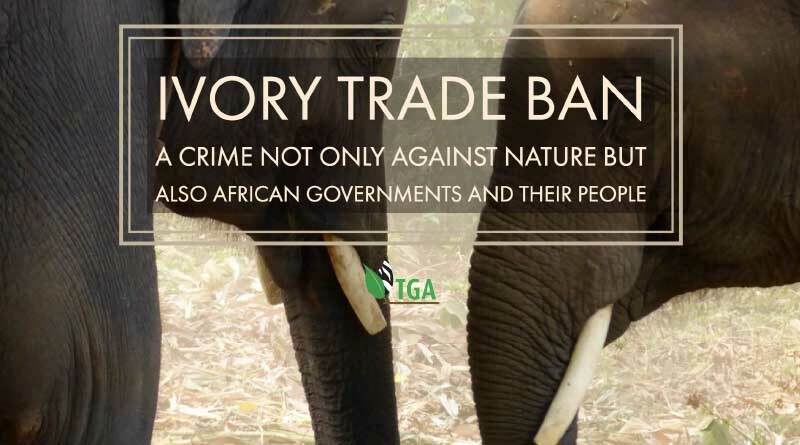 They (African people and governments) pay for the ongoing costs for living with and looking after elephants but without benefits because outsiders (animal rights groups) continue to sponsor the international trade ban on ivory. By continuing to sponsor the ban in international trade in ivory, the outsiders (animal rights groups) are actually causing great harm to elephants and African people. Our argument for sustainable wildlife conservation in Africa, including wildlife products such as ivory has been and remains “Trade not Aid Will Help Conserve African Wildlife”. I am sorry to inform the organisers and sponsors of The African Leaders 4 Change Awards that by honoring initiatives that stop international trade in ivory, namely the Amarula Conservation Trust Anti-ivory trade campaign; they are contributing towards an increase of the African elephant poaching crisis. Anti-ivory trade initiatives should not be applauded in Africa because the harm African elephant conservation and compromise the economic wellbeing of African rural communities living side by side with elephants. Worse still, without trade in ivory African governments, including South Africa, Botswana, Namibia, Zambia and Zimbabwe are lamenting this animal-rights-groups-made elephant poaching crisis brought by animal rights groups’ ongoing sponsorship of the international ivory trade ban. Why? Because as long as the ban is in force – the elephants cannot pay their way. If the elephants do not pay their way, they will not stay. We are already seeing this threat continue to unfold, through the ongoing increase in elephant poaching. Therefore, there is no need in the future, to reward organisations, that campaign for the stoppage international trade ivory ban because this brings negative impacts on African elephant conservation and compromises the socioeconomic wellbeing of poor rural communities living side by side with elephants. I have worked with literally almost all Southern African rural communities living side by side with elephants (in Botswana, Malawi, Namibia, Mozambique, South Africa, Zambia and Zimbabwe) and know their frustrations arising from any form of campaign calling for an international trade ban in wildlife products (including ivory) because it takes away the benefits that they rightly deserve to receive from their wildlife. Therefore, I challenge anyone who is opposed to the international trade in ivory to come and join me in a live ivory traded debate here in South Africa or anywhere in the world; on any television station that is willing to provide that platform. It is high time that we exhaustively debated this issue and in the process make our people judge for themselves who is out of order by deciding to trade or not to trade in ivory. If the debate cannot achieve that then the African range elephant states (Botswana, Malawi, Namibia, Mozambique, South Africa, Zambia and Zimbabwe can consider holding referendums to check if their people support international ivory trade or not. For how long shall African elephant ranges states suffer the indignity of being resource-rich-poor-countries? Certainly, not in our generation!